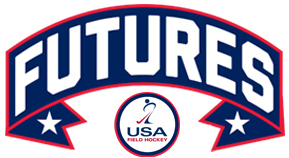 USA Field Hockey's Futures Program is an elite training experience for U14, U16, and U19 athletes that consists of 21 hours of specialized training with some of the top coaches in the country. The Futures program is the start of the Olympic Development Pipeline and nearly all U.S. Women's National Team members and Olympians participated in the Futures Program. Futures is also one of the premier collegiate recruiting opportunities in the United States, with more than 80% of current Division I athletes having participated in the Futures program. The Futures program has been updated since last year, introducing Regional play. Click here for more information. You do not need to be a member of USAFH, PFH, or any other club or school to participate in the trial. If you participated in Futures in 2015, you do not need to take the trial again. PFH will be implementing the Futures Trials on Sunday October 16 at the Evergreen Sportsplex, 6-8pm. Depending on the number of RSVPs, timeslot assignments may be made; we will contact you in advance. Click here to RSVP for the Trial. For Spring 2017, the Region 8 NOVA training site will be in Leesburg, VA, hosting U14, U16, and U19 age groups. Please note that while PFH will be administering the trials, PFH is not involved in the selection process or directly involved with the coaching at the Futures Program. Any questions regarding the Futures program or selections process should be relayed directly to USAFH. Please click here to read more about the selections process as well as opportunities. The program costs approximately $485 for 7 3-hour sessions (some of these sessions are held on the same day). Financial assistance is available! All Trials participants MUST ALSO register (approx. $28) with USA Field Hockey - click here to register with USAFH. Please register under "Region 8 - South." Participants MUST bring their confirmation email print out with them to the Trial. You cannot take the Trial without the confirmation print out. We also suggest that you download the Field Player and Goalie Test instructions PDF so that you can practice in advance. NOTE: If you participated in Futures 2016, you do not need to try out again for 2017. You will receive an invitation for Futures 2017 before the end of the year.